The Tuff Mutt hands-free bungee leash was designed because our dog goes nuts, bonkers, spastic (you get the point) when he sees a squirrel, rabbit or other furry creature. Hey, maybe we have something in common…or maybe not. But the great thing is that the springiness of our built in bungee absorbs some of the shock when he throws his weight around or suddenly stops and changes direction. 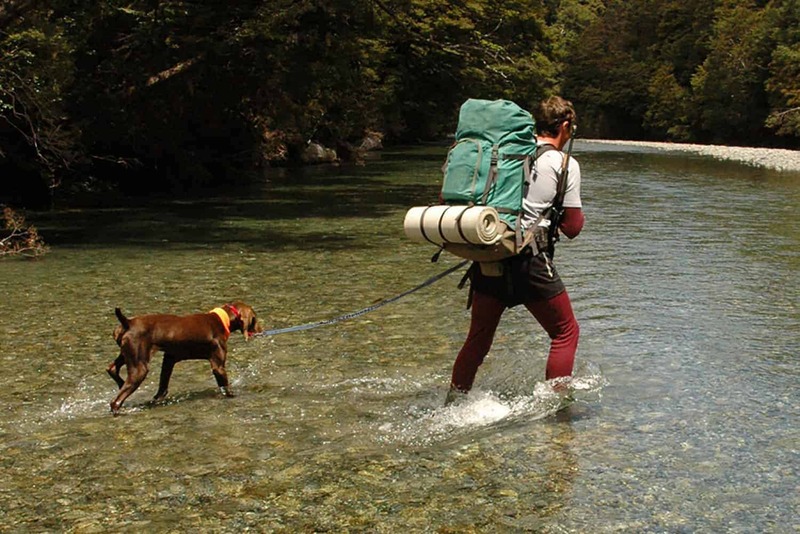 So naturally, it makes this leash great for everyday walks, running or hiking. Have you ever been in crowded places, like the fair or downtown city streets? Keeping your dog close to you is a pain…right? 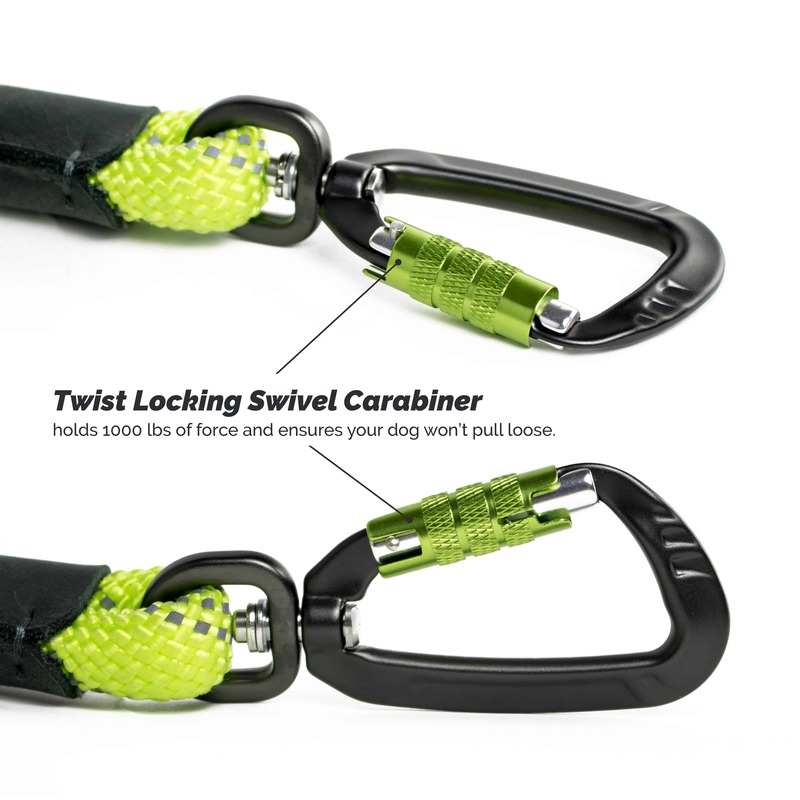 We designed this leash with two easy to grab control handles, that make it a breeze to keep your dog right next to your side in those uncomfortably tight situations. Now that the days are getting shorter and it’s dark when you get home from work (bummer) the three seams of bright reflective stitching are super cool and will keep you safe and seen around the neighborhood. We like to let our dog “think” he is in charge by giving him just the right amount of freedom. That’s why we designed a strong 48″ lead with a bungee that springs up to 60″, and an easy slide belt clip that allows him to move seamlessly from side to side, no tangles, no tripping. If you are a runner and you have never run with your dog hands free, you are totally missing out. 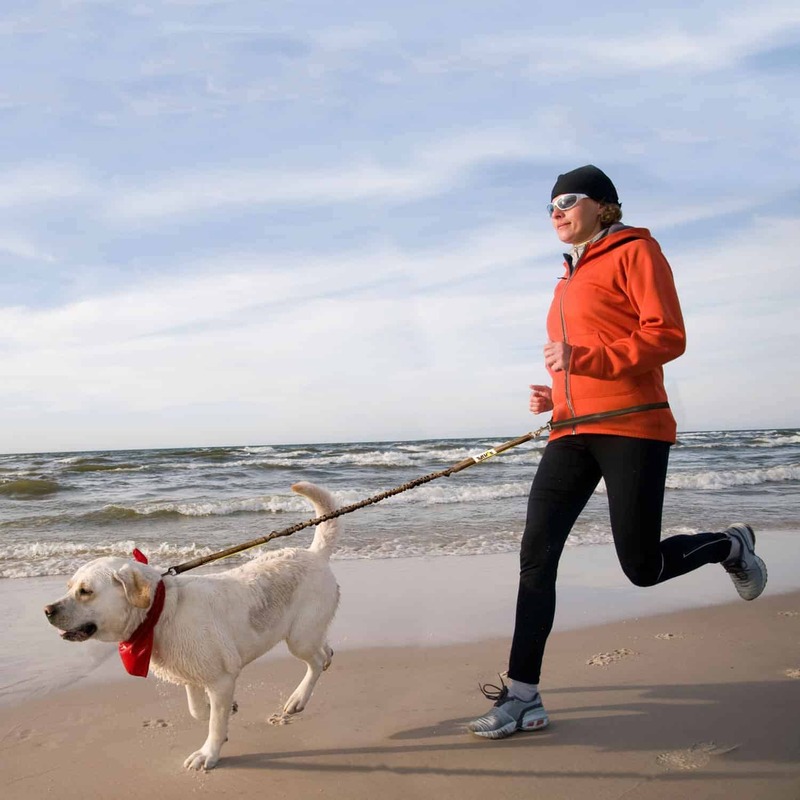 You probably notice that it’s not super convenient to hold a leash in one hand while you are running. Your shoulders and back ache, and your running times are not the best. Our lightweight reflective waist belt allow you to get your natural running motion back. Not a runner? Going hands free gives you the freedom to use your cell phone, read a book or pick up your dogs…business with ease. Very helpful with not hurting my back when beagle pulls. 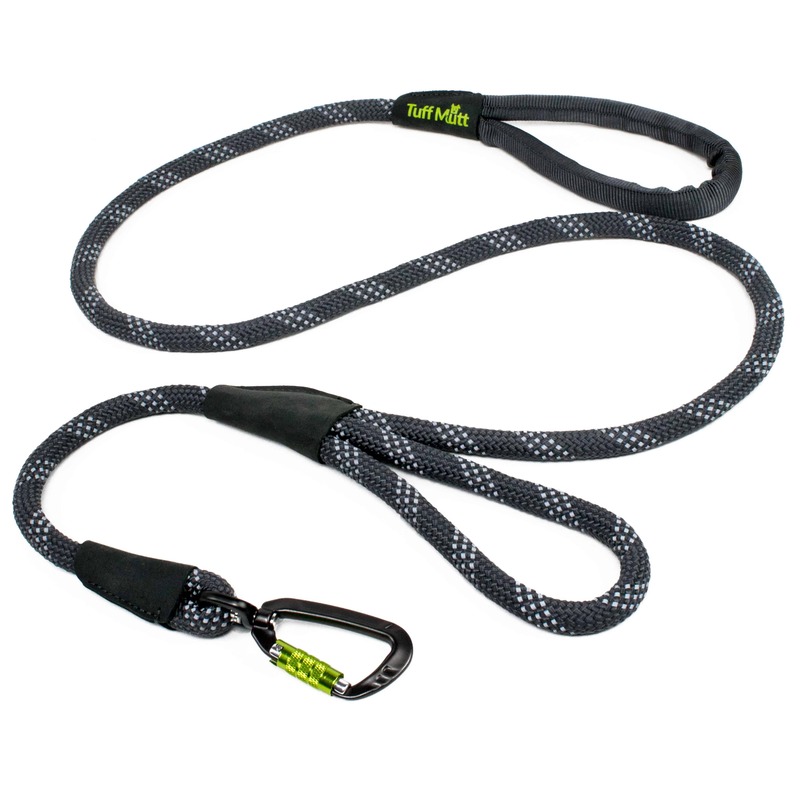 This leash is great for running with your pup. There is a little give so it does not pull and has handles to help you find a comfortable position to hold. His is good as back up when your running buddy sees a squirrel and wants to chance after it. It can click onto a belt to become hands free, which is great for trail running. When we get to area where she can be off leash, I have her carry it around her neck (see photo). It is comfortable to wear as not to heavy. The tuff mutt leash is durable. Macy is a chewer, but no signs of biting on this leash! I love this leash! 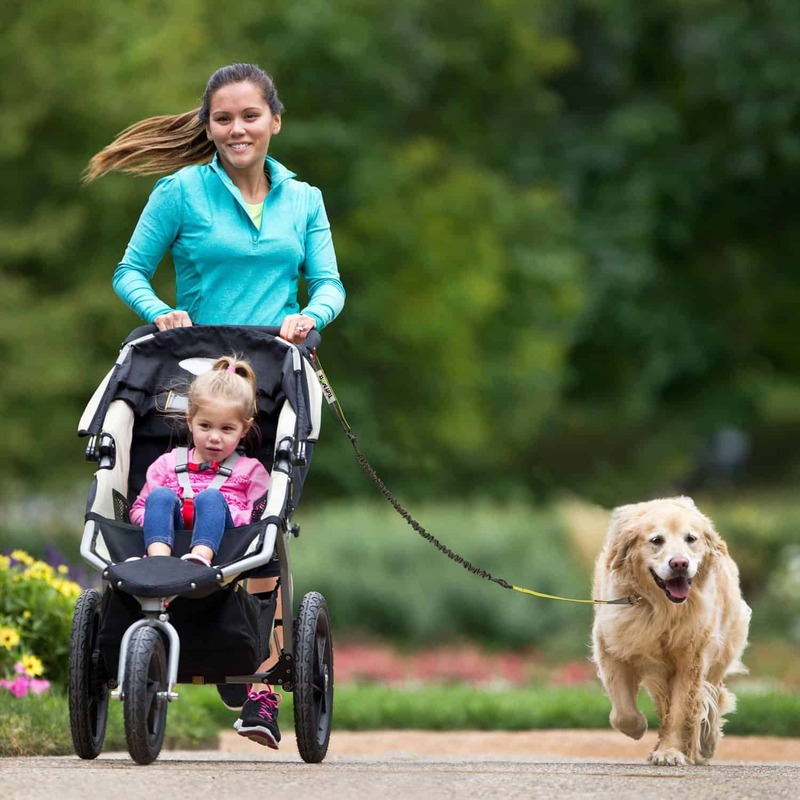 It is perfect for running with my 2 pups and pushing a stroller. 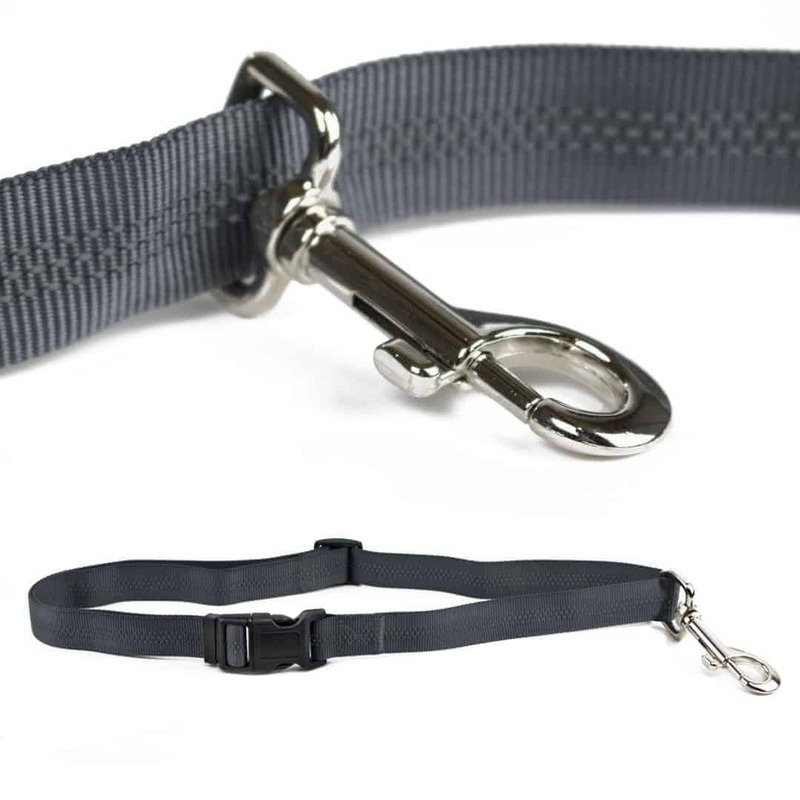 I had a running belt prior but my dogs pull and everytime it would loosen the belt causing it to slip and I’d have to keep pulling it up and the hook wasn’t very sturdy if the other dog pulled backwards their leashes would come off the belt. With the tuff mutt they are so much more secure, the belt stays in place and they can’t pull as much nor do I feel it as much. I highly recommend this belt, I am so happy I found them and switched it makes a world of difference on our runs! I absolutely love this leash ! The delivery was extremely fast to Ontario and when I opened the package I was extremely impressed with the very obvious quality materials used. I love the two different leash handles to enable close contact control such as in an elevator and the regular loop end for arms length control to give my dog Bruce more freedom. We haven’t used the leash for running yet due to very deep snow but we’ve already used it for hiking and it works exactly as described. I DON’T feel like I’ll be pulled off my feet with the force of an 80lb, 8 month golden retriever at the other end! The leash does have some elasticity but it’s not overly exaggerated. 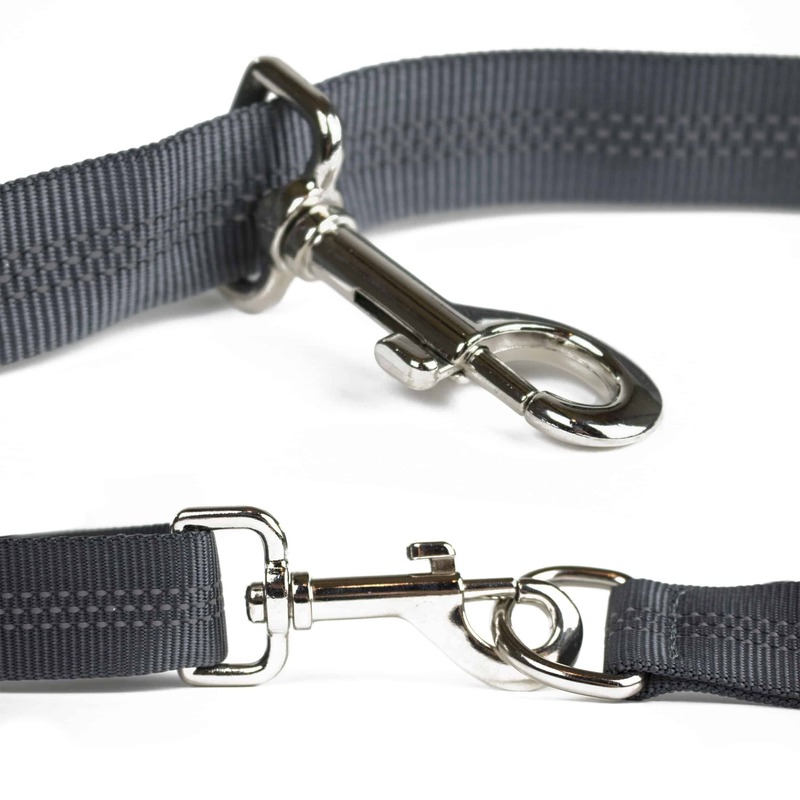 If you’re only used to a regular firm leash it will take minimal time to adjust. Looking forward to the snow melting and testing out the running aspect! I did a lot of research on “running leashes” and the Tuff Mutt leash was ranked highest on all articles I read. Lastly all Inquiries I sent to Tuff Mutt were very quickly replied to…excellent customer service!